Extra Large Lawn and Leaf Garbage bags are great for cleaning up after large outdoor parties, picnics and catered events. The slim packaging of these 5 Count trash bags makes them ideal for events on location. No need to unravel long rolls of garbage bags or lug around a huge box. 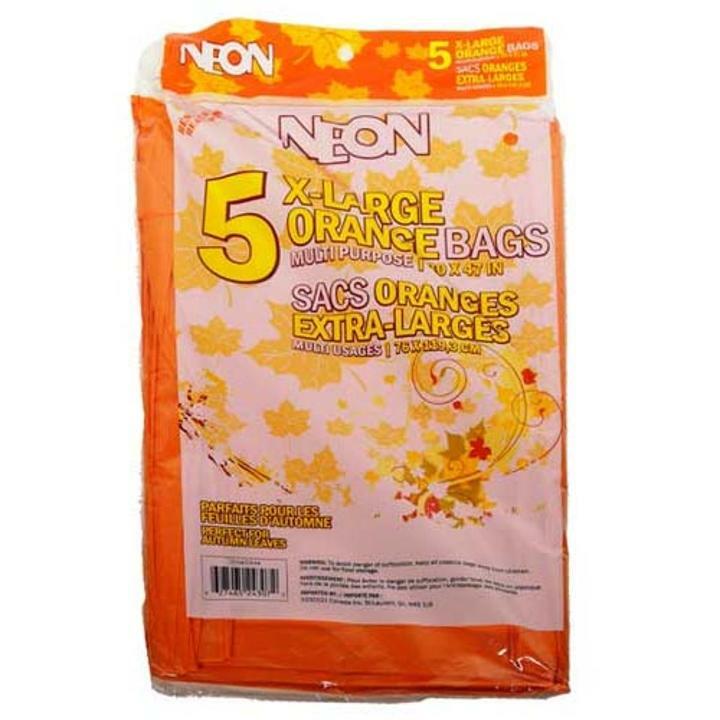 The bright orange color of these bags helps identify them, so your guests wont need to search for a place to dispose of thier plates and cups. 30 in. x 47 in.